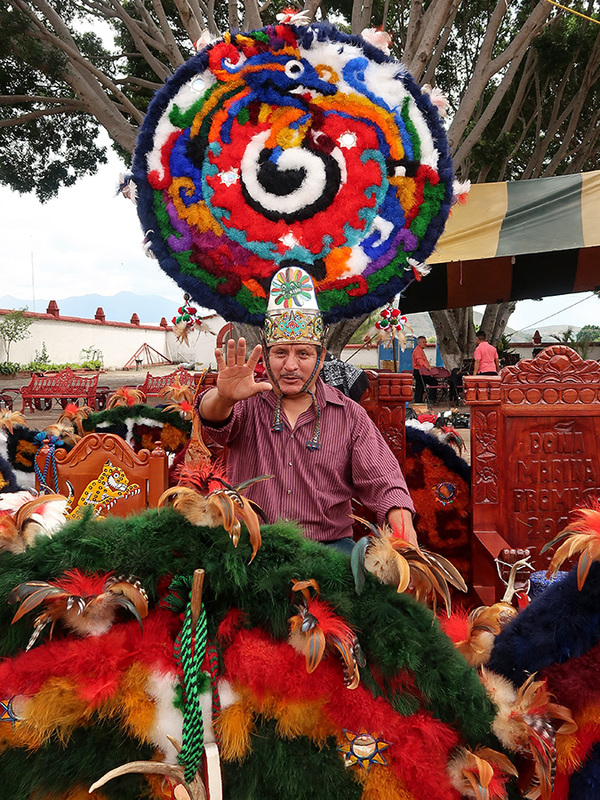 While waiting for yesterday’s convite to begin, the Danza de la Pluma subalternos, Florentino Martínez Ruiz and Juan Bautista Ruiz, knew how to keep young, old, all those in between, and the photographers entertained. A little “splendor in the grass” for Juan? And, the fun didn’t stop there, once the convite began, Florentino snatched a marmota from one of the little boys to give it a try. And, everyone laughed, especially the boy! 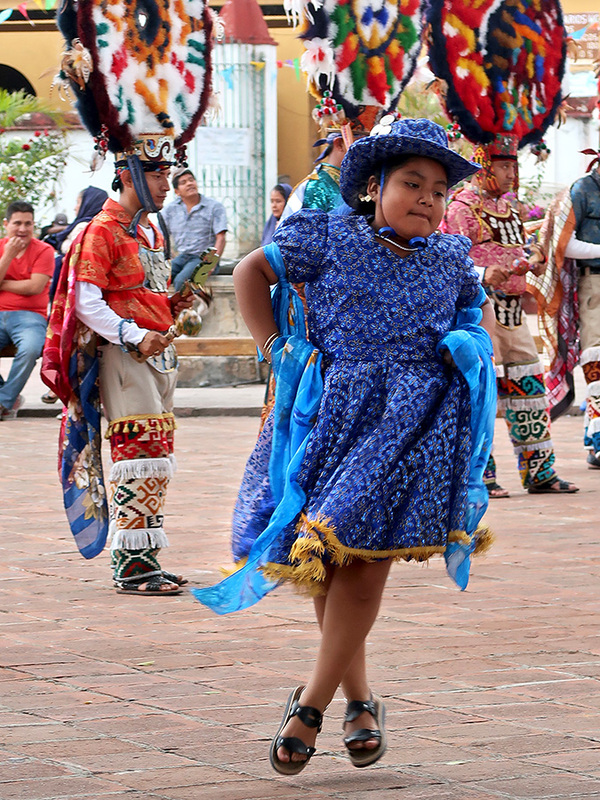 That’s entertainment, Teotitlán del Valle style! 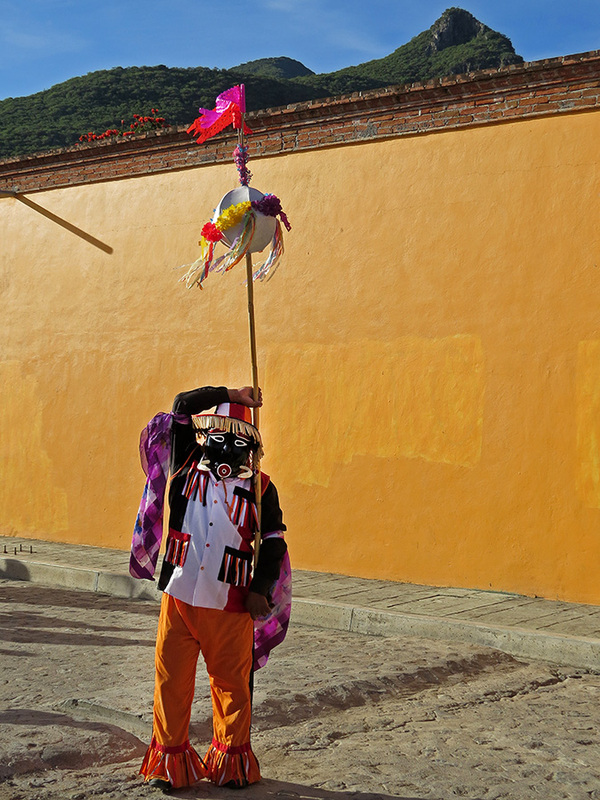 During the aforementioned convites, you will find the boys of Teotitlán del Valle, Standing On the Corner watching all the girls go by. Not much has changed since The Four Lads had a hit with that song! From my friend Samuel Bautista Lazo, who grew up in Teotitlán del Valle, “It’s funny to see boys with their cameras taking pictures and videos of the girls they like, often they watch the procession at one corner once they have seen everything, they run (or bike) as fast as they can to the other good spot to see all the girls again.” And, he knows from personal experience! 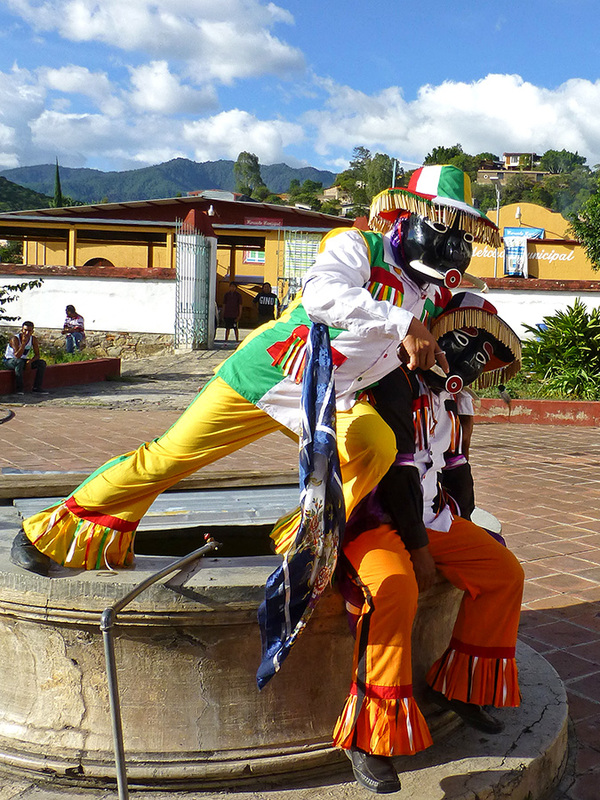 However, performing for tourists is not why Teotitlán del Valle tells this story through music and dance several times a year. 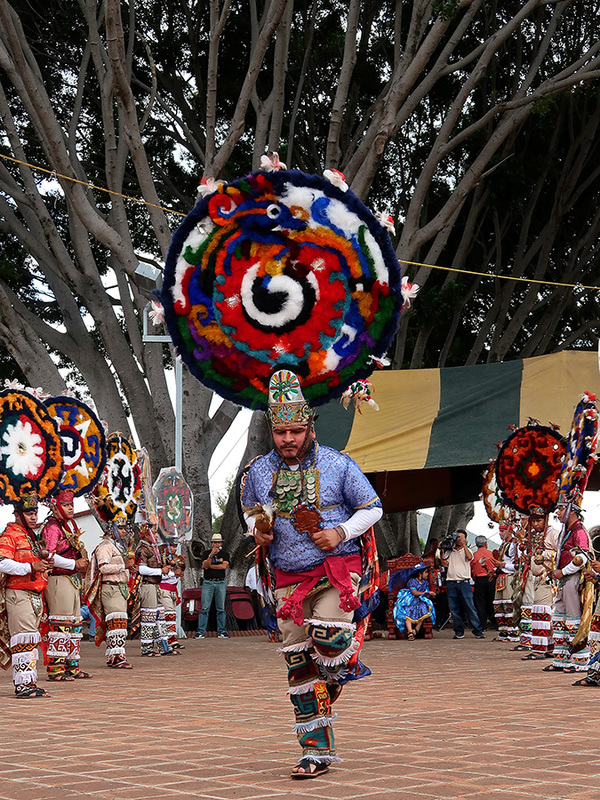 It is performed on the church plaza, not the municipal plaza, because it is an integral part of the annual major religious celebrations of the village: Fiesta titular a la Preciosa Sangre de Nuestro Señor Jesucristo in July, Fiesta a la Natividad de la Virgen María in September, Fiesta a el Rosario de la Virgen María in October, and Fiesta a la Virgen de Guadalupe in December. Capes from Sunday’s Fiesta a la Natividad de la Virgen María and July’s Preciosa Sangre de Nuestro Señor Jesucristo festival. 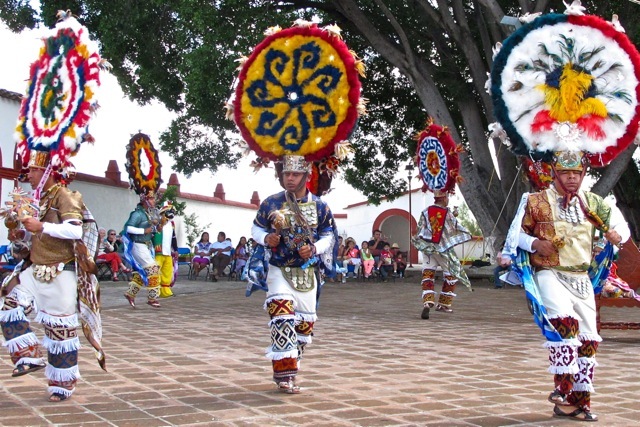 The various elements of the costumes do not come cheap and dancers must appeal to their extended families to assist in commissioning each of the pieces. 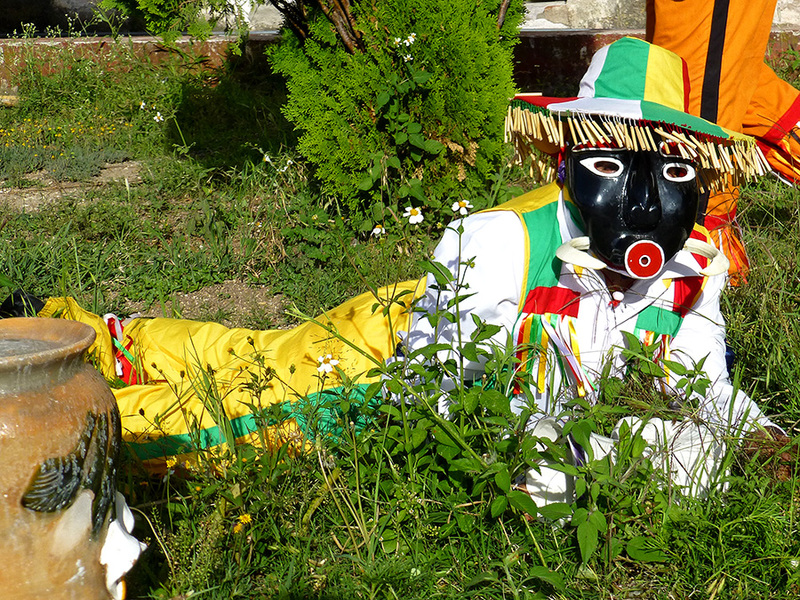 Thus, as annual festivals come and go during a dancer’s 3-year commitment, the costumes may evolve. 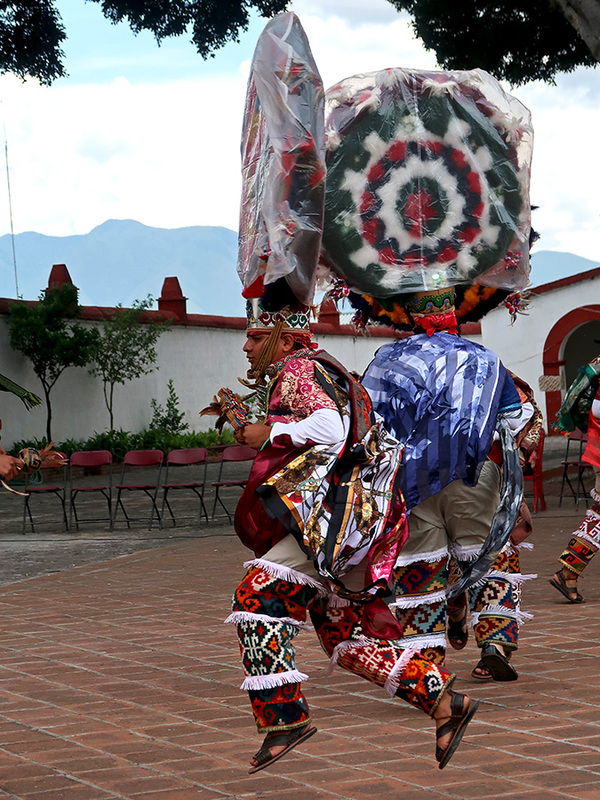 With their performances, the dancers honor the rituals of their church and community. 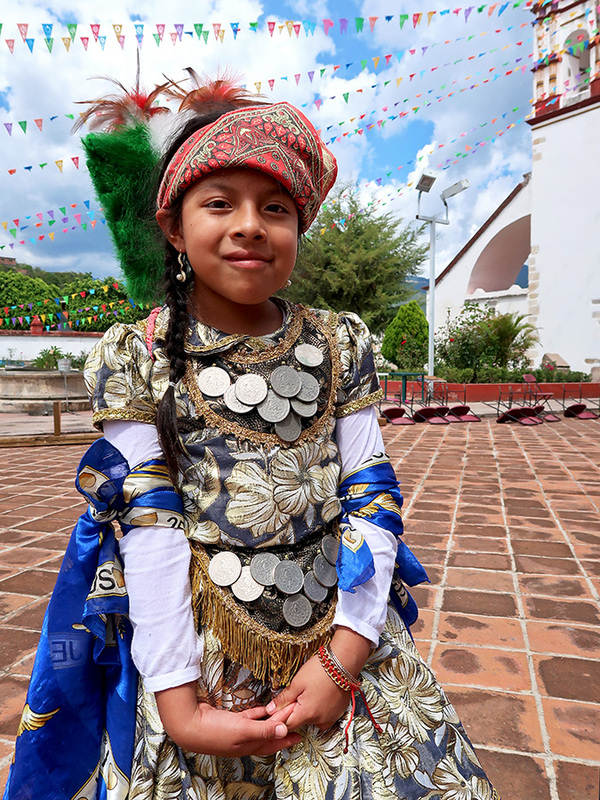 And, with their magnificent costumes, they pay homage to the creativity, talent, and tradition of Teotitlán del Valle’s weavers and feather artists. Waiting for the convite… Fiesta a la Natividad de la Virgen María. 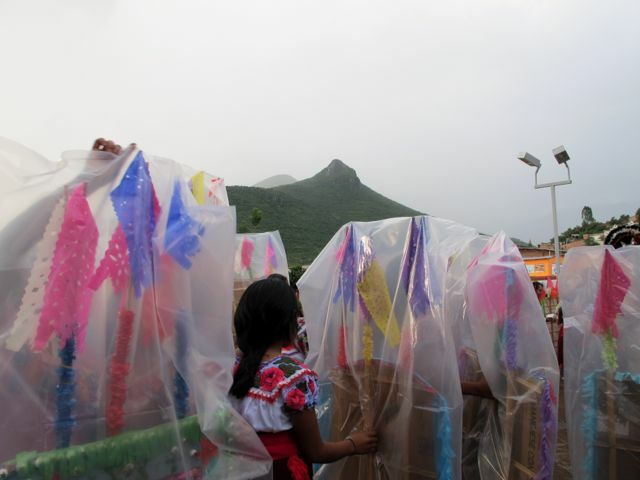 September 8 was a rainy day in Teotitlán del Valle.